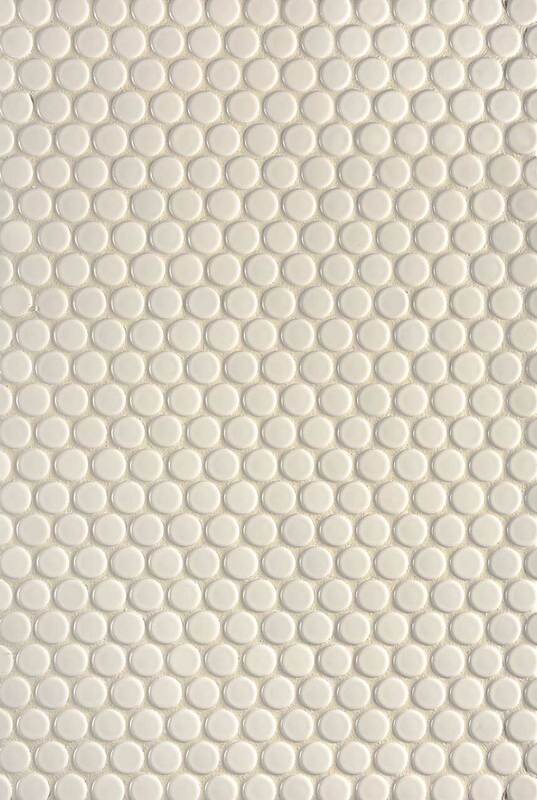 The subtle pattern and soft neutral tone of our Almond Penny Round mosaic makes for a delightful tile backsplash. From traditional to contemporary, this backsplash kitchen tile lends a sophisticated backdrop to any installation. To create a more dramatic kitchen backsplash design, choose a grout of a contrasting color to make the iconic penny round pattern more prominent.